Wednesday, January 23, 2019 – 11:00 A.M.
Edith Marie Hannah age 84 of Somerset, Kentucky passed from this life January 19, 2019 in Pekin, Indiana. Ms. Hannah was born February 23, 1934 in Mt. Victory, Kentucky to the late Nellie Jones and Alec Barnett. 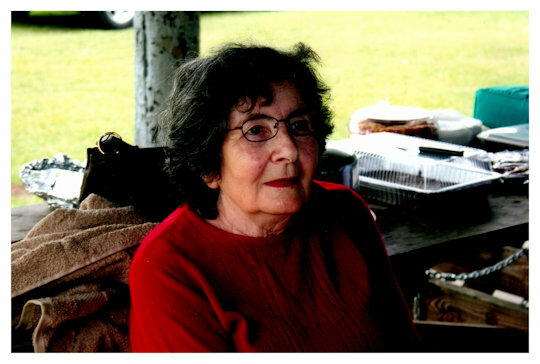 She loved to read westerns, gardening, and sewing. She was a member of Acorn Baptist Church. She is preceded in death by her parents; her brothers Dennis Barnett and Douglas Barnett; a sister Betty Inabnitt; a granddaughter, Cassandra Hannah; and a great granddaughter, Madison Hannah. She is survived by her sons, John (Teresa) Hannah; Allen (Beth) Hannah; Darril (Colleen) Hannah all of Somerset, her daughter, Barbara (Derrill) Cook of Pekin, Indiana; her brothers, David Barnett, Denton Barnett both of Somerset; her sisters, Lucy Merrick of Science Hill, Nettie Harper, and Thelma Randall both of Somerset, 9 grandchildren; 18 great grandchildren; and 2 great-great grandchildren. Visitation will be Tuesday, January 22, 2019 at 4:30 P.M. at the Chapel of the Southern Oaks Funeral Home. Services will be Wednesday, January 23, 2019 at 11:00 A.M. in the Chapel of the Southern Oaks Funeral Home. Bro. Stanley Sears will be officiating. Interment will be in the Whetstone Cemetery. In Lieu of flowers may be donated to Hospice of Lake Cumberland. Southern Oaks Funeral Home is entrusted with arrangements for Edith Marie Hannah.